We measure and install all standard and custom framed and frameless shower enclosures. We take the time and bring the expertise to get the job done RIGHT! We always stand by our work and if there is a problem, you know where to find us. We have been at the same location since 1980. We hear "horror stories" all the time from customers who went with the "cheaper guy". Yes, they have a shower enclosure, but one that was improperly measured or installed, and failed to meet their expectatations shortly after installation. And where was the "cheaper guy"? Nowhere to be found or to be heard back from. When it comes to your frameless heavy glass shower enclosure, most shops offer the same hardware everyone else does. We offer that, but prefer to use a premium hardware manufacture, as well as solid plated brass channels. Others, generally use aluminum, which is fine for most people or those on a tight budget. We generally price the unit with the premium hardware and channel, but will work with you to accommodate your needs and budget. Click below to view some of the most popular glass patterns for your shower doors. Visit Cardinal Shower to view CAST glass patterns for your shower doors. Visit Cast Glass Images to view CAST glass patterns for your shower doors. Shower's are always prone to mineral stains; no matter what. Some years ago and still available, an applied coating was offered to consumers to seal glass' surface. These products work well, but need maintenance and you must use special cleaning products. Now Guardian offers ShowerGuard glass. ShowerGuard glass' surface is "protected during manufacturing through an ionic-bonding process. This patented technology permanently seals the glass surface, stopping corrosion before it starts." ShowerGuard comes with a LIFETIME limited warranty. Click here for information. 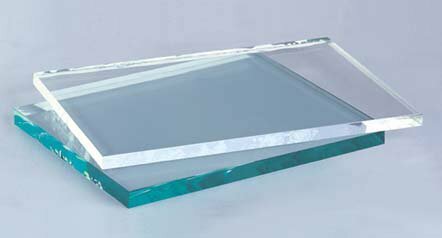 Low-iron glass is also available for your 3/8" and 1/2" frameless shower enclosures. Have you just spent a small fortune on exotic tile or marble in your newly remodeled bathroom? Why take away from it's natural beauty and color? Use low-iron glass for your shower enclosures so yourself and guests can appreciate your tile or marble work.